Questions and GVP References to Build an Effective Literature System - ComFit Europe Ltd. Asking the right questions has always been core to problem solving and information gathering. In this blog post we would like to share with you ComFit’s interpretation of this popular journalistic and research approach in literature monitoring. 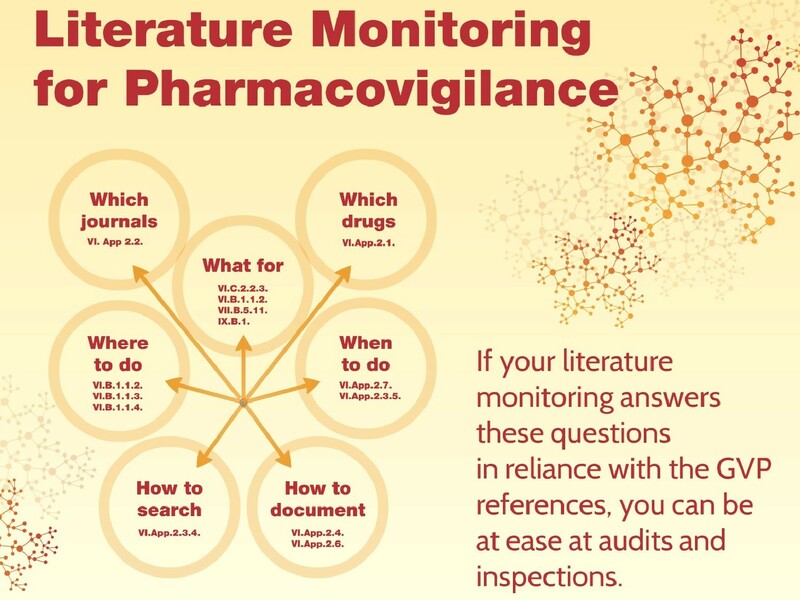 We believe that the following seven basic questions can guide you in building an effective literature monitoring system with the purpose of pharmacovigilance in compliance with GVP. Please refer to the scheme below showing GVP references relevant to these questions. In the following weeks in our blog we are going to zoom into each of the seven questions and share our experience how we have successfully answered them at ComFit. Stay tuned!